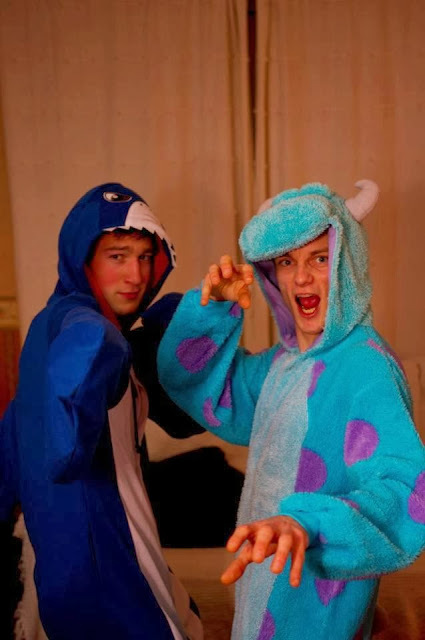 We absolutely love it when our customers/followers send in their animal costume photos, that is photos featuring their animal costumes whether home made, purchased from our shop or whatever trevor! We give away a £50 voucher to our favourite photo each month, so keep sending them in you guys! 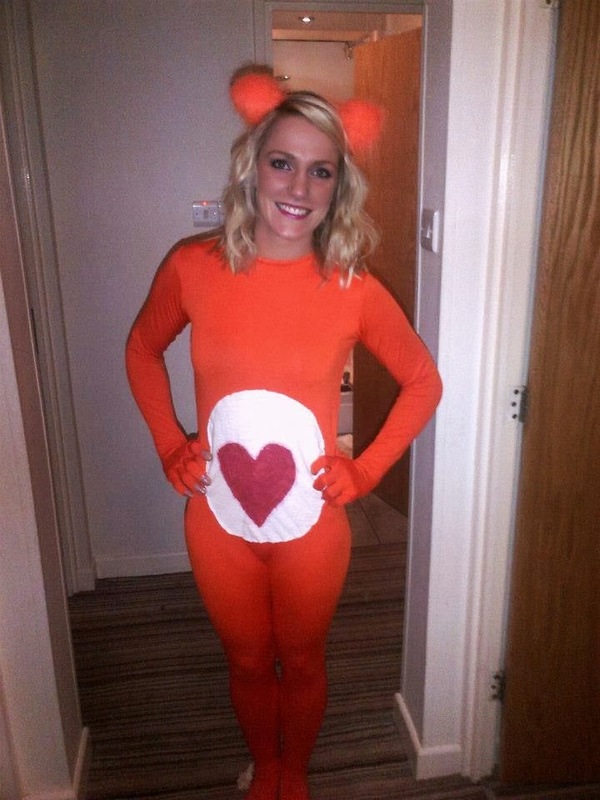 Thanks to Natalie for sending this photo featuring her homemade care bear costume. Great work! Check out our new Care Bear Kigurumi Costume - we think you'll love it. 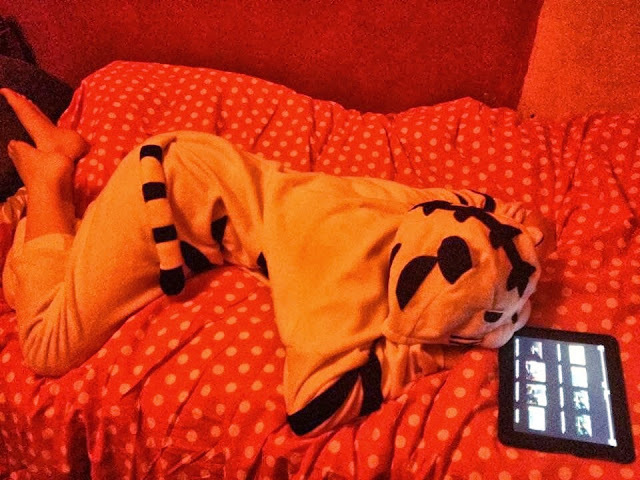 Laura - just chilling in her tiger kigurumi costume. Thanks for sending us the photo! Thanks to Matt for sending in this photo featuring our tiger kigurumi costume taking part in a chilly woodland pillow fight. Surreal, guys, really surreal. We love it! 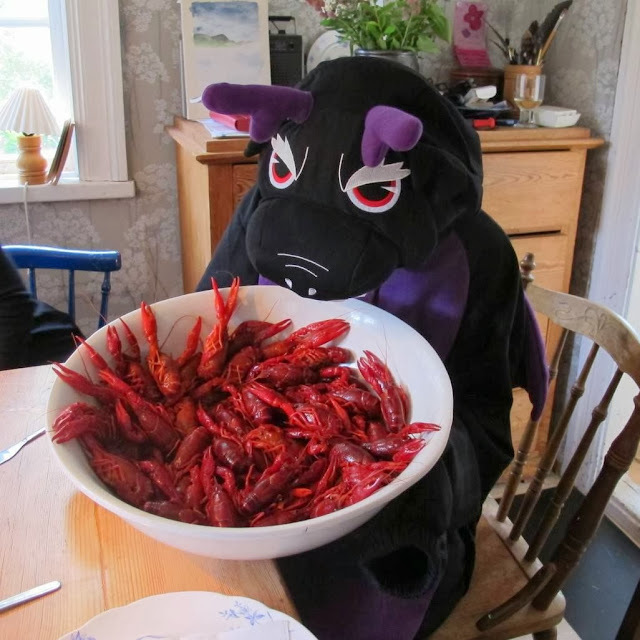 Thanks to Maria for sending this in - she describes it as a crayfish party in Sweden, which sounds like a lot of fun to us. Oh yeah and our black dragon kigurumi costume is in their somewhere too! 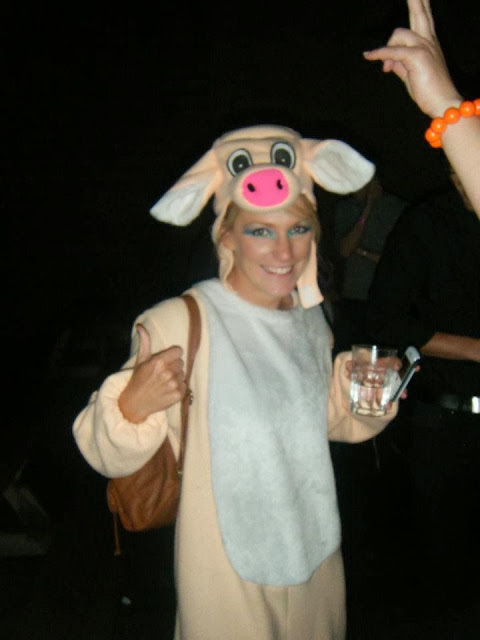 Thanks to Natalie for sending in this photo featuring... well we're guessing it's a pig costume but can't be sure!